The upcoming exhibition at ORi will show Street Art, Paintings, Photographs and Etchings of artists from Iran and Iranian Diaspora. A graffiti from Berlin based Street-Art artist „Oham One“ will especially created for the exhibition. Short films related to Iranian everday life and underground cultures are inviting the visitors to stay in a cozy area. A special programme (during the exhibition period) is connected to the exhibition, such as a film screening with guests, a concert with traditional Persian music and a Persian dinner in cooperation with ́Welcome Dinner Berlin ́ to create encounters between Iranians, Iranian Community in Berlin and Iranian refugees and Berliners. Stay tuned for further informations. Short Films // Stanislas Giroux, Benjamin Aryani, Ali Rasouli and many more. 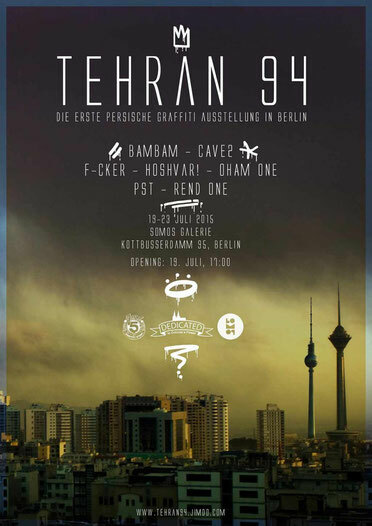 Tehran94 this time comes to Cologne and in cooperation with Diwan Deutsch Iranische Begegnungen will shows Iranian graffiti artists artworks. 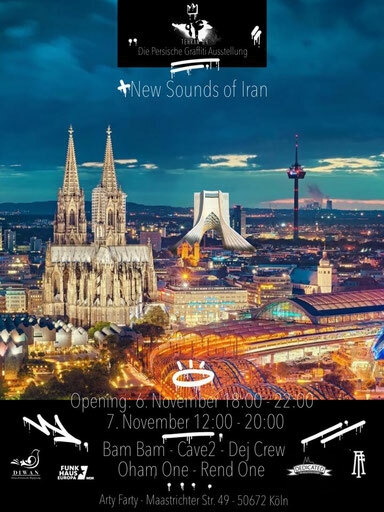 We will be part of "New Sounds of Iran" festival with some changes. 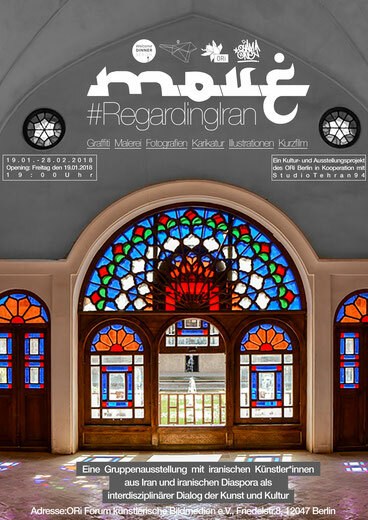 Like first time in Berlin there will be artworks, video arts and short films about Iranian graffiti and it will be the opening day for the whole festival. "Bad Influence" plays live beatbox. 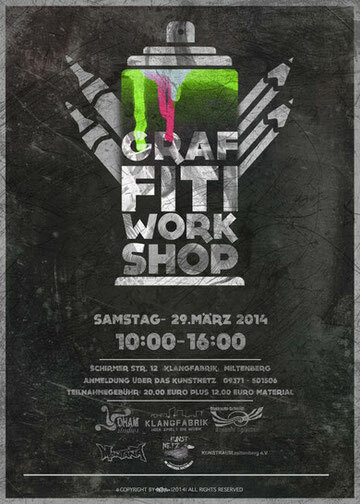 We proudly present the first Iranian graffiti exhibition in Berlin. We've planned an exhibition to show a part of Iranian underground art scene to our audience in Berlin. There are artworks by 7 Iranian graffiti artists from all over the world. 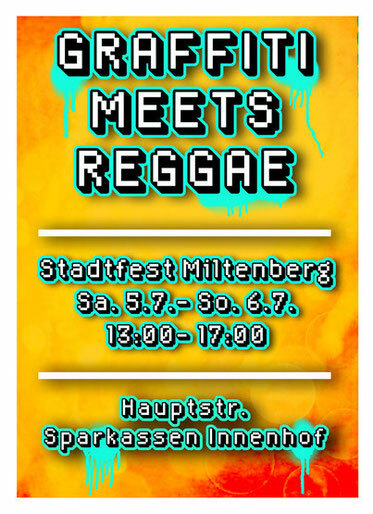 During the city festival of Miltenberg,Bavaria wa a project managed to perform graffiti and reggae music live. Oham One and Wa!e were the graffiti artists and Dread,Blood and Fire were the musicians. They performed two days on the festival in Sparkassen Innenhof of Miltenberg. The offer from KlangFabrik was a good apportunity to have a good start in Germany. Oham One managed a graffiti workshop in two parts: Theory and Practice. 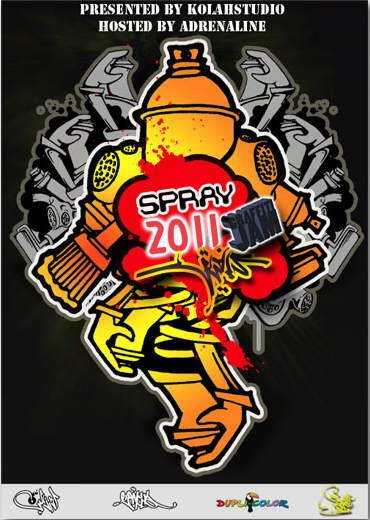 In the first part you will learn about graffiti history, forms and categories and will practice it on the paper. The second part is where you learn to work with spray cans ans spray skills and you will make your own artwork on canvases. 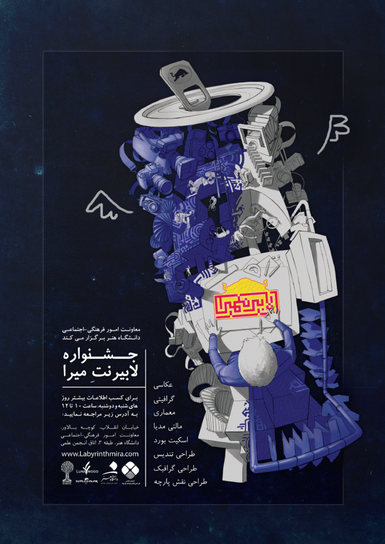 In cooperation with RedBull Iran and Tehran University of Art Oham One has to manage a big event in seven directions: Architecture, Graffiti, Skateboard, Photography & Multimedia, Trophy Design, Textile Design and Graphic Design. 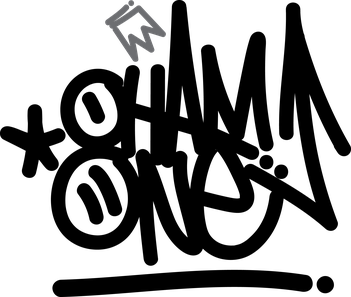 The organisation team has decided to name it "Labyrinthmira", which means "The dying labyrinth". The reason why is that each winner concept is connected to another and at the last day when graffiti writers are done we will destroy the labyrinth, which is made by the winner of architecture contest and our labyrinth will die. This project was supported by Inverse School and RedBull Iran. In 2012 in Tehran the graffiti scene was not active as before. Oham One came to this idea to manage a graffiti jam and bring some of writers together again. 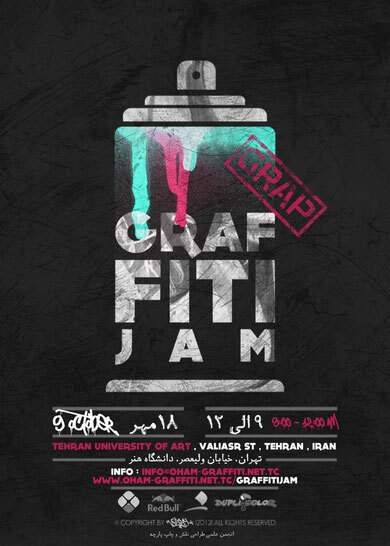 In cooperation with Tehran University of Art, RedBull Iran and DupliColor Iran we planned the second graffiti writers jam (not as big as first one) in the university. There were writers like: PST, Hoshvar!, Oham One, Nirone and oldschool writers like VAN1. The Aim is to set a good Example of Street art/Graffiti-related Event .The first two Events ,with regard to the development of The Graffiti and spray art in IRAN, were held inside the Gallery space... now in 2011 we Are going to hold an outdoor event on a 70-meter wall. The selection of artists have been through an Open Call for art for all artists from all cities in IRAN. Artists have submitted their works to enter the event. Oham One was one of the guest writers.